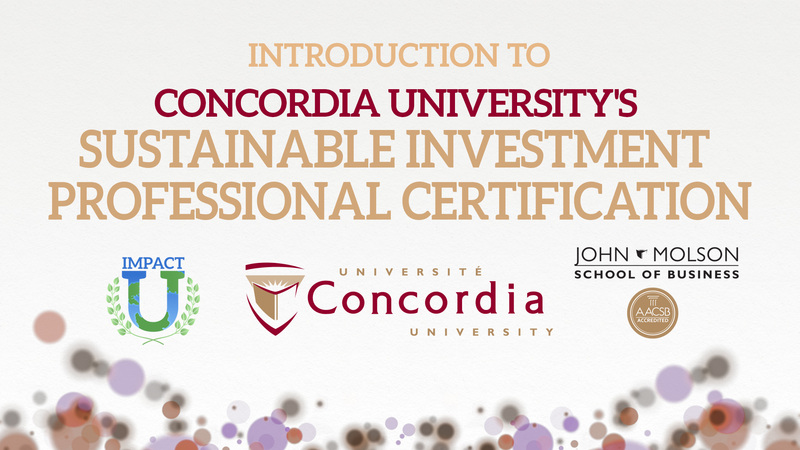 Impact U has a special partnership with Concordia University’s Sustainable Investment Professional (SIP) Certification. All Impact U students are eligible for a 15% discount on SIP registration. Here is an overview of what you can learn through SIP. For more information on the course, check out https://www.concordia.ca/jmsb/executive-education/programs/sipc.html.